Tennis leg is the term used to describe a tear of the medial head of the gastrocnemius, also known as a pulled calf muscle. If you think you may be experiencing ‘tennis leg’, good news, it is not a tear of your Achilles tendon, which is the largest tendon in your body and critical for activities such as walking, running and jumping. By identifying tennis leg and having it assessed and treated appropriately by a qualified chiropractor, there should be absolutely no need for surgery. Tennis Leg is more commonly found in athletes who were previously highly competitive players. As time goes by, your level of sporting activity decreases. This period of inactivity, combined with the natural weakening that occurs in our muscles with age, makes you more inclined to tennis leg. Tennis leg is a common injury occurring in slightly older players, more commonly found in athletes within the 35 to 50 age bracket. The reason being that slightly older athletes more commonly than not, continue to be physically active at a higher intensity but on a less frequent basis, having maintained a moderate to high degree of muscle mass from their more active sporting years. As you get older, your muscles do too. These muscles, when used at high intensity, may not have been stretched or warmed up adequately. This makes them more likely to spasm or rupture, compared to younger athletes with muscles that are conditioned and stretched in the necessary way. 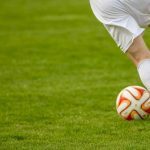 If you are an athlete who suffers from recurring calf strains, it is crucial for you to seek professional care regularly. Without being correctly assessed and treated by a qualified professional, any previous calf injuries can heal with fibrotic scar tissue. If this is the case, the muscles in that area will react differently to forces, making it more likely for you to experience a rupture when your muscles are being challenged. 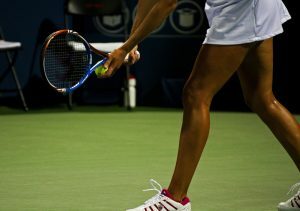 Athletes who have experienced tennis leg have described it as a feeling of being shot in the leg, with an instant tearing or stabbing sensation in that area. The area will become tender and painful when touched, leaving you unable to walk on it. Most athletes have said the only way to walk after having experienced Tennis Leg, is on their toes. By doing so, they avoid the use of their ankles, which would require the calf muscle to be used, leading to excruciating pain. Like any injury, it is imperative to have it looked at, and treated, immediately by a qualified specialist such as a chiropractor. There are, however, a few things you can do yourself before visiting a professional. We recommend you apply ice immediately and elevate your leg above your heart level. It is vital that you avoid walking on your legs until visiting the chiropractor, so using crutches until then it’s also recommended. The good news is that tennis leg is a manageable injury and shouldn’t require surgery. Depending on the intensity of the injury, we would likely prescribe you with anti-inflammatories, and advise you ice, rest and elevate your leg. Again, this depends on the injury itself, so it is crucial to visit a chiropractor or related specialist immediately. Healing time varies, but with adequate and efficient treatment by a professional, you should be ready to get back on the court within four to six weeks. To avoid a repeat injury, it is essential to do additional warm-ups of your muscles before engaging in any intense sporting activities. Sufficient warm-up of the muscles is imperative. We suggest you do a minimum of ten minutes of cardio to get your heart rate up and your blood flowing, with an additional ten minutes of stretching. 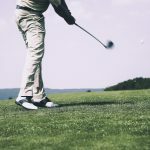 It is important that your muscles are well stretched and loose before you start playing any sort of intense sporting activities, without doing so, you will be at risk of a repeated injury. 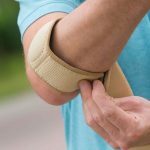 Tennis Elbow VS Golfer’s Elbow: What’s the difference?